When we lived in the North we frequently visited Chatsworth Houses Farm Shop. They sold a wide range of produce including meat and game, poultry, fruits, vegetables, pies, breads, cakes, cheese, jams and lots more. 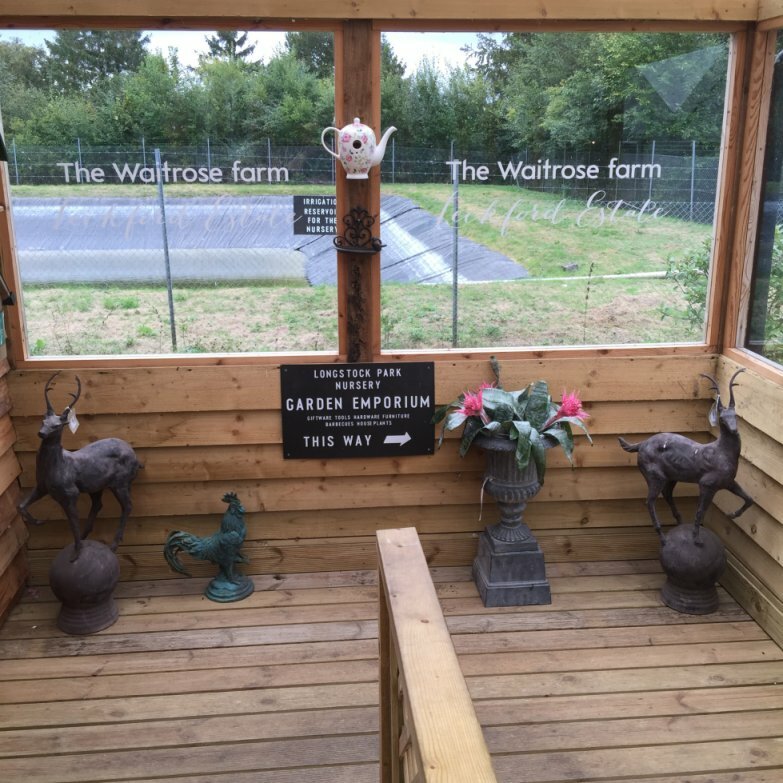 Recently I read a post over on Emily’s blog that she had visited a farm shop in Stockbridge, a Waitrose Farm Shop none the less! A quick Google and I realised it was less than an hour from us! 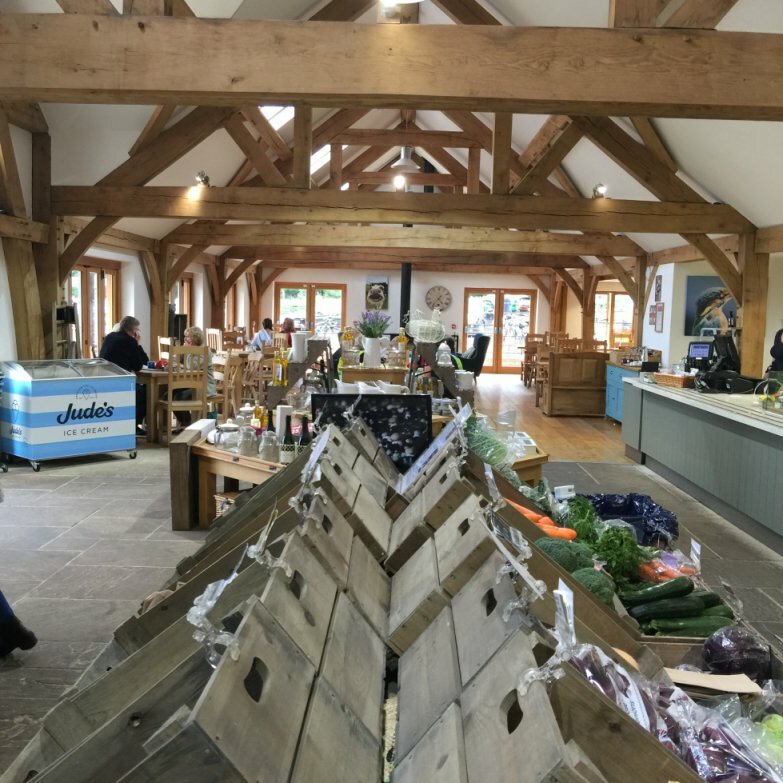 We’d mentioned a couple of times that we hadn’t really discovered a farm shop and so this seemed like it might be just the ticket. We went over on Saturday and using sat nav it was pretty easy to find. When we got there it was more than I was expecting. I’d seen on the website that there was a farm shop and café but there was a nursery/garden centre there too. We decided to head in to the shop first. We wandered round the shop quite quickly as it was much smaller than I thought it would be. They had meats, cheese, fruits and vegetables and a deli along with jams and preserves. There was also a small alcohol section. The shop was bright and airy and looked like it was in an old barn with large wooden beams adorning the ceilings. The café was in one side whilst the shop was in the other. We didn’t visit the café as it wasn’t long since we’d had lunch. There was also a lovely display of country kitchen style home wares. None of which would have matched my kitchen but they were all pretty none the less. After we’d visited the shop we went to look around the garden section. 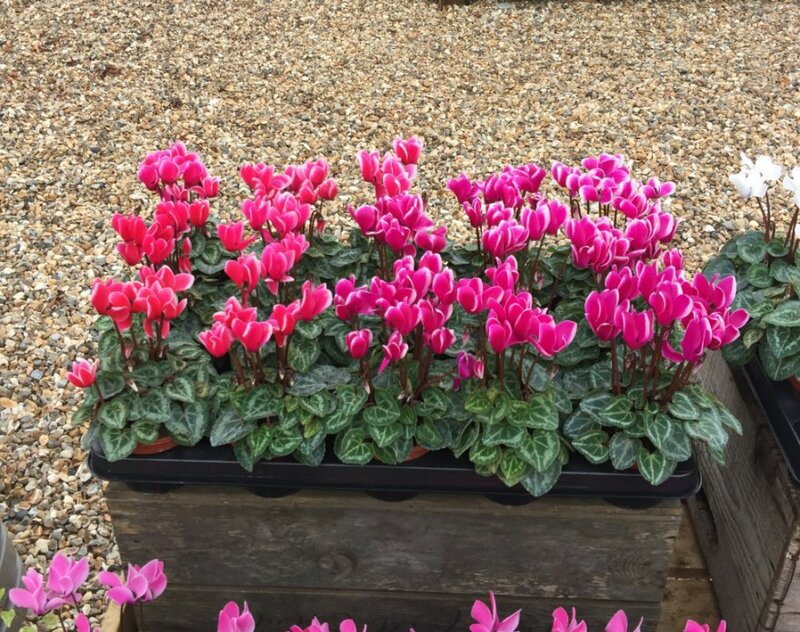 We probably spent longer out there than we did in the shop as we marvelled at just how pretty our garden could be if only we knew what we were doing in it. We spotted plenty of pretty flowers and trees and was surprised to find a tree growing kiwi fruits! All in all it was a nice drive out there and a nice little mooch around but I was a little disappointed. Maybe my hopes were a little too high as the Chatsworth Farm Shop is amazing and bigger than Leckford was. 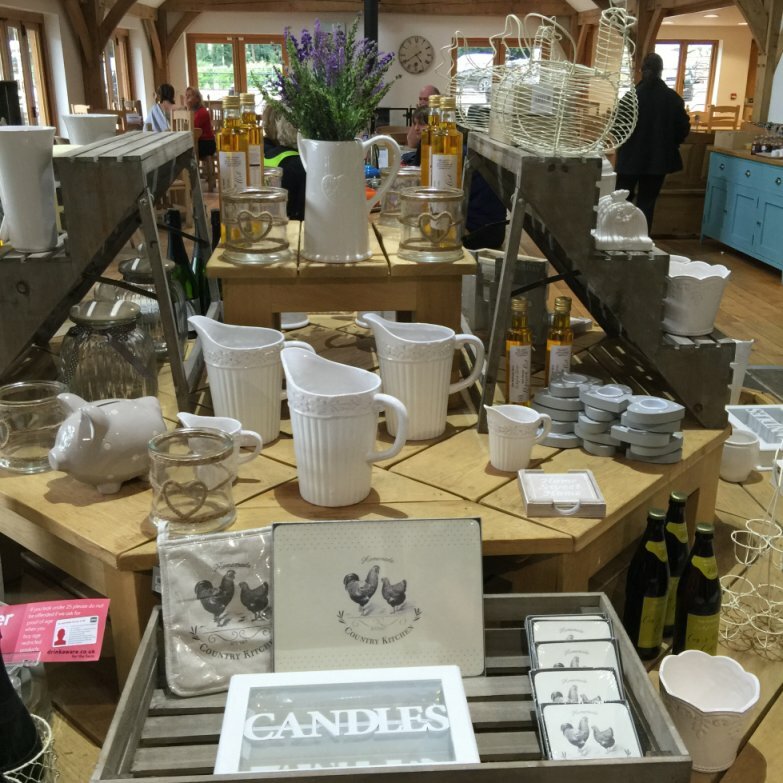 We decided we probably won’t visit again and so the hunt for a comparable farm shop goes on. Sounds like I need to check out the Chatsworth Farm Shop! It’s definitely worth a visit if you’re in the area. I visited Chatsworth House when I was little and we went caravanning around that area. My grandparents lived in Stoke on Trent so it wasn’t too far (actually I have no idea about the distances or locations…but I don’t think it was too far??). I remember my sister and me were exploring the fields and we found a sheep stuck to a barbed wire fence and was panicking. So I ran off and found a farmer driving a tractor and, being a rather dramatic young’un, I shouted “help! There’s a sheep in danger” and he ran after me. He did “save” the sheep but I think he was a bit exasperated. I always remember that story when I think of Chatsworth House hehe!